This beautiful pearl ring features a lustrous AAA quality 10mm White South Sea pearl, imported directly from the pearl farms of Australia. 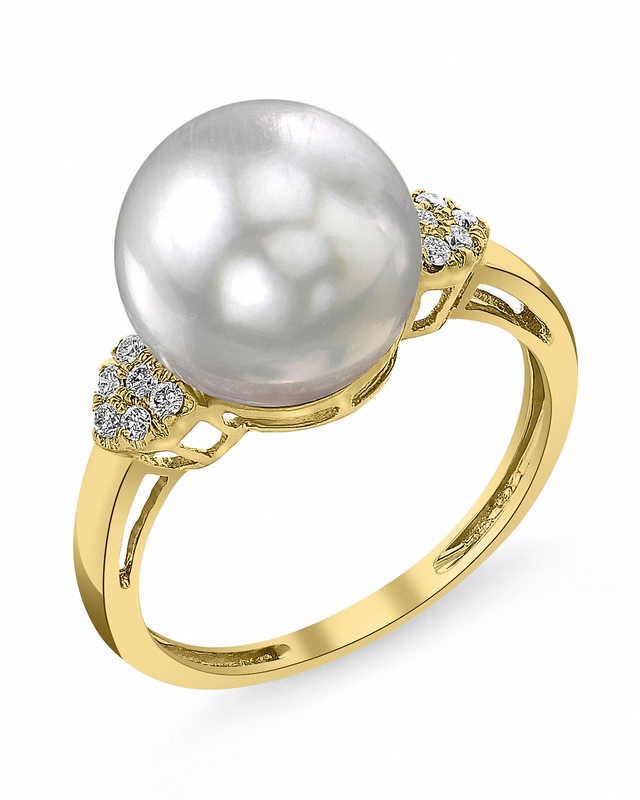 The pearl is mounted with dazzling SI clarity diamonds on a 14K gold band. The diamonds are in the shape of a heart on both sides of the pearl.